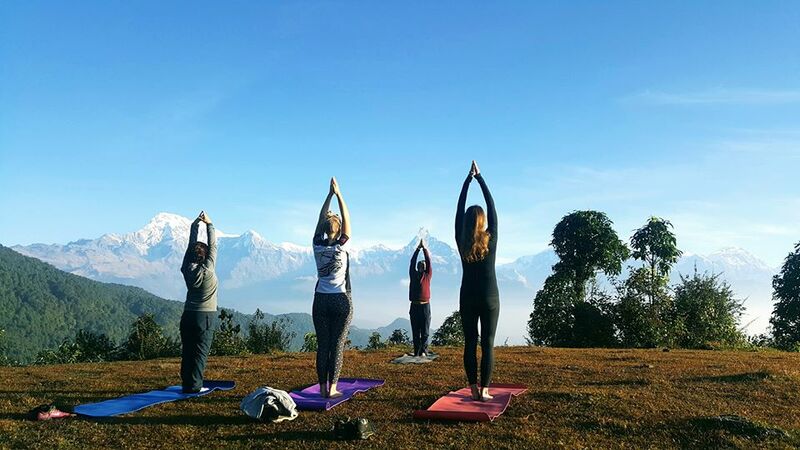 Our Yoga Treks are a great way to enjoy trekking, nature, local food and culture, yoga, and Nepal’s spirituality, all in one. Is yoga trekking the right holiday for you? Read more here. Our treks range from three days (Nagarkot Yoga Hike) to 13 days (Annapurna Circuit Yoga Trek). Don’t forget to take a look at our other yoga trekking routes, our FAQs and our packing list.